The chapter has 22 pictures; 10 pages*. $2.00. (Instant Access). 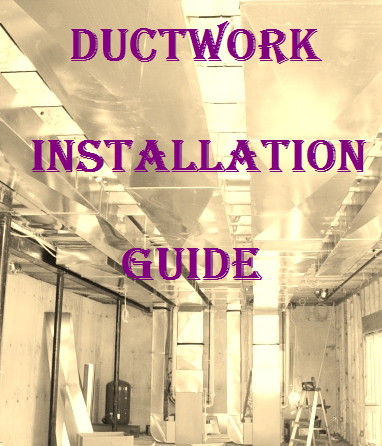 This chapter from the Energy Saving Edition book gives a detailed description of the Combustion Air Intake installation, which according to code must be an important element of your HVAC ductwork system. In the chapter you can find pictures of all necessary tools, materials and pictures of the Combustion Air Intake installation. There are 31 pictures. Installation is divided into six steps, which represent the entire project in the making. This is a parent page. If you would like to read more you can buy an instant access to the secondary page for the price of only $2.50.You can pay right here on this page by using the "Buy Now" button below. For years, I was preaching about high necessity of the combustion air intake, but did not have one installed in my own house. I have both - high efficiency furnace and a water heater and a water heater was working just fine, recently I've discovered why! My builder left narrow, but long gap in the overhangs under the bay window and fireplace shaft, and this was my combustion air intake! 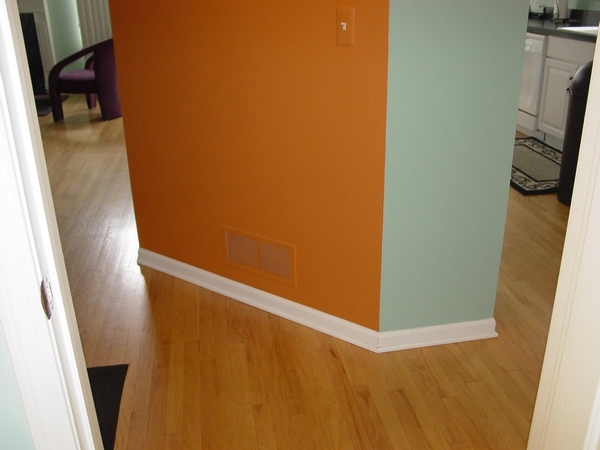 Also, in order to make this page more informative I included several pictures from another finished basement project. They are just like the pictures taken from my home installation show step-by-step sequence of installation. In order to gain an access to the Combustion Air Intake Installation in Pictures page you have to pay an access fee of $2.00. Just click on the “Buy Now” button below. Once you pay, you will gain an instant access to the page! Pictures from "How to Stop Cold Air from Fresh Air (Combustion Air) Vent in Furnace Room" paid page (see below) included. My family and I live in MN. Every winter I have dealt with issues of cold air coming from all areas of our 1955 home with a 3-year-old addition with in-floor heat. I finally installed a fresh intake vent that has halted any cold air coming from other areas of the old part of the house. With all of our gas appliances and vent fans I calculated an 8 inch size vent. The problem is all that cold air is really pouring out of there and I bought a plastic tub that sits right behind the new boiler but the floor in the laundry room is so cold and it spills out into the rest of the basement. I temporarily placed salt bags for our softener into the opening of the doorway of the utility room to prevent it from coming into the rest of the basement with little success. I didn't think it would get that cold. I even used the R-10 insulated flex tubing for ducting the fresh air, which works great except for the air not staying in the tub. Before I put this venting in and we had our old boiler, which was 30 some years old, our CO2 alarm went off 2 times in 10 years but I didn't think it was such a big concern with the cold air pouring into the older portion of our house from everywhere. I finally decided to get a new boiler and the fresh air intake. Is there anything I can do to keep this cold air at bay? I teach property-rehabbing classes in the St. Paul Community Education Program...so I encounter questions like this all of the time. In my own house, I made my insulated flex duct (fresh air intake) purposely EXTRA long, and formed a very large P-trap out of the flexible tubing (to mimic that of a plumbing P-trap). The thought behind this is that cold air likes to drops (where warm air rises). By forming this very large P-trap with the flexible duct, I am forcing the cold intake air to travel 3 feet UPHILL again before dropping down into an empty 5-gallon bucket. Also, something else to consider. 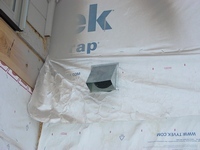 Once shaping your intake into a large P-Trap like this, if cold air is still pouring in, then you have a large amount of warm air escaping somewhere else in the house (i.e. up a fireplace chimney or similar). Cold air will only pour in like that (after forming the P-Trap) IF warm air is being exhausted rapidly somewhere else in the house. Our home in Edmonton, AB Canada was built in 2003/2004 and has a near identical setup to yours - two 6" fresh air intakes, one to the cold air return portion and another to a combustion pot that runs to the floor and simply dumps fresh air into the basement. We also have a mid-efficiency furnace (sounds like you do as well) and a natural gas hot water tank with both "chimneys" tied together. 1) Install a motorized damper designed by Hoyme - Hoyme Manufacturing Inc - Motorized Dampers & Ventilators - North America. This closes the fresh air intake combustion pot and when the furnace comes on it opens up. Depending on who you speak to you may also want it to open up for when your hot water tank runs (I would to be on the safe side to eliminate CO poisoning risks). You can install a heat sensor on the tank that will open the damper up. 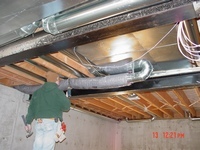 You can even go as far as installing a second damper for the fresh air intake that goes into the return air ductwork as freezing cold air is not good for your furnace. Downside - cost of the dampers and availability in your area. 2) Relocate your fresh air intake combustion pot near the furnace. Frame and close off the furnace room. Assuming your combustion air requirements are sufficient, install weather proofing/stripping around the furnace room door to contain the cold air within the furnace room. 3) Ditch the mid-efficiency furnace and go with a high-efficiency furnace. This eliminates the need for the 6" fresh air intakes and will require the installation of PVC pipes to the outside of your house for intake/exhaust. All three of these options are valid in my location but I would suggest consulting with your local authorities and building codes before making your decision. I haven't decided on what route to take myself. With the basement being finished it's not too cold except I built an office attached to the furnace room so my feet get cold. I've got a blanket tucked underneath the furnace room door to keep the cold air in. For the first couple of years living here I remember very well how cold the basement can get. I put a lot of thought and research into this so I hope this helps you, good luck! For years, I've heard about these issues related to the combustion air intakes, but never faced it myself before. However, recently I install one in my house and now I joined a legion of people who trying to resolve this inconvenience once and for all! I even don't want to give it a try, this idea, even if it works is just plain stupid. Just think about it: who in his straight state of mind would buy a box of flex and make a goofy P-trap out of it and after that is all done on top of it, again, drop it in a bucket? The price for an instant access to the page is only $1.44. Does the combustion air intake pipe have to be located outside the home? How do I bring additional combustion air into basement? How do I stop cold air coming into the intake ducts of my furnace? How much air needed for combustion? How much combustion air is needed for a furnace? How to add more combustion air into enclosed furnace room? How to calculate combustion air supply? How to install a furnace combustion air duct? How to install a outside combustible air intake? How to prevent cold air dropping in house from return air plenum? How to size combustion air? Should the combustible air intake on high efficiency furnace be going outside or not? What is combustion air intake? 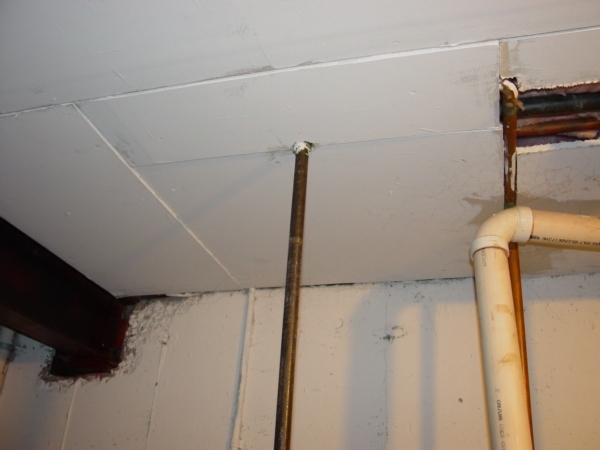 What size duct is needed for combustion air for a furnace and water heater? What to do about cold combustion air?